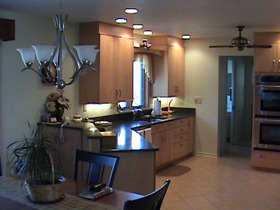 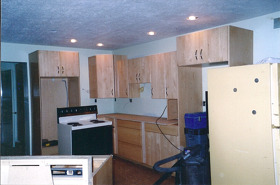 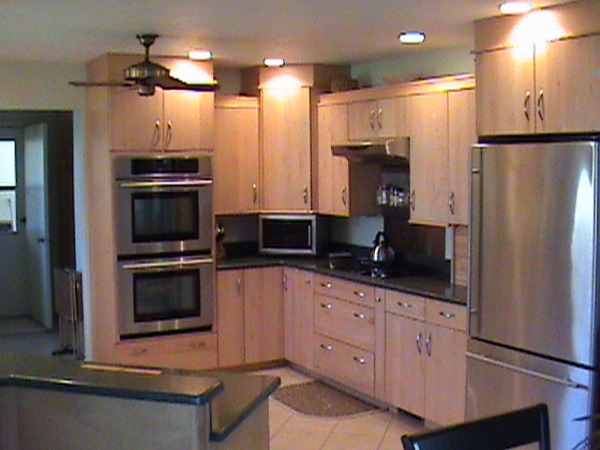 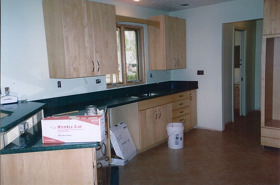 The demo for this home was to remove the original kitchen and start brand new. 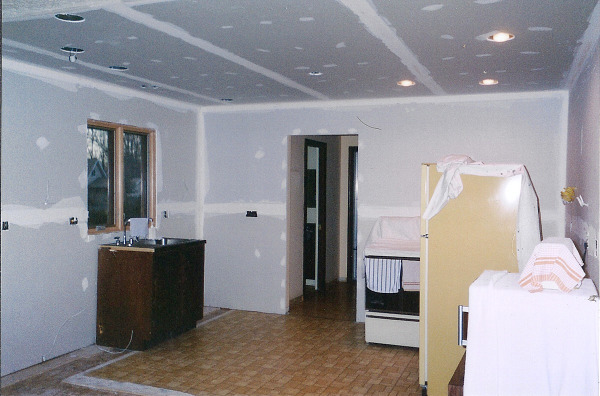 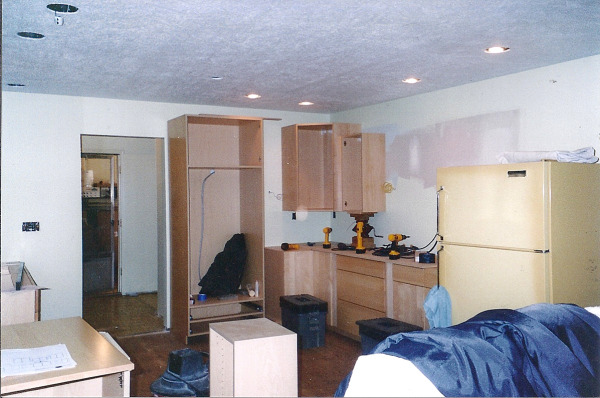 The walls were removed down to bare studs to include installation of new insulation and drywall. 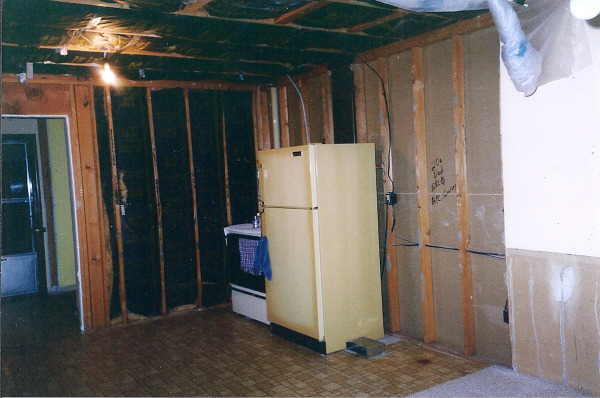 At the same time, the home remained livable by keeping the refridgerator, stove, and sink in full working order for the entire project, minus the actual time of replacing the appliances. 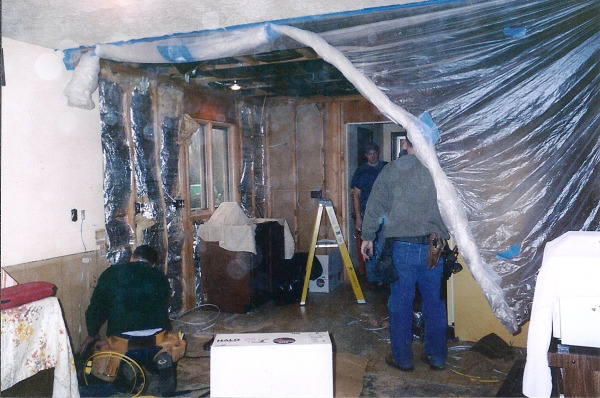 The home was also kept clean to maintain healthy air quality as well as keeping the stresses of home remodeling at a minimum for the homeowners.